Make this Halloween extra scary by sharing one of the stories about real haunts on L.I.! Share a scare this Halloween season with these stories of real haunts on Long Island! Have you had you fill of haunted house, spook walk and corn maze scares? How about moving onto something even more sinister, like a real haunted place on Long Island! 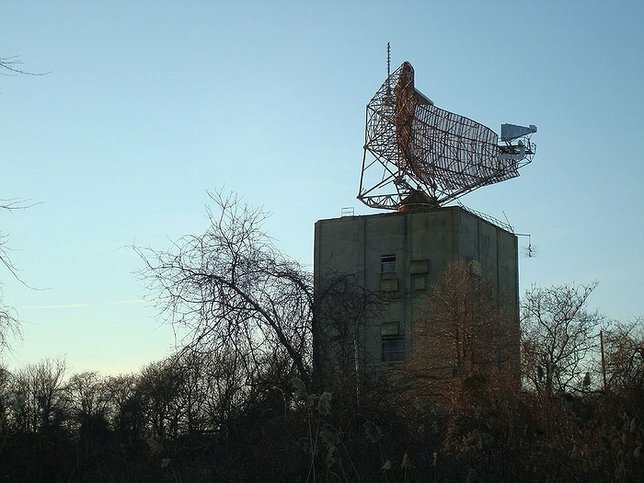 Here on Long Island there are many legends surrounding supposedly haunted places on L.I. From the looming Kings Park Psychiatric Center, to the depths of Lake Ronkonkoma, there are countless myths, legends and hair-raising stories associated with the region of Long Island. Check out these scary stories about local haunts on Long Island! If there is one haunted place on Long Island that everyone has heard of, including those who do not live on Long Island, that place would be the Amityville Horror House. Featured in many books and movies throughout the years, the terror of the Amityville Horror House begins in 1974 when Ronald DeFeo, Jr. killed his family in their sleep in that very house. Afterwards a new family, the Lutz family, moved into the residence and after just 28 days of living in the house, moved out because of paranormal occurrences and supposed possession. Nestled on the East End of Long Island in Montauk, is Camp Hero. Once a military base, there are many rumors that encompass this locale. It is said that at one point the military was conducting top secret experiments, having to do with time travel and UFOs, at Camp Hero. Another story says that after opening up a door to the fourth dimension, a creature was let loose and now lives in underground containment below the camp. Once a home and hospital for those needing psychiatric care, and now partially demolished and abandoned, the Kings Park Psychiatric Center is a huge fixture of interest and mystery on L.I.. Rumor has it that due to overcrowding, and a change of healthcare tactics, the center quickly fell into disarray. Rumors nowadays circulate about the center being haunted, with some people having experienced hearing screams, seeing apparitions, and other supernatural experiences at the Kings Park Psychiatric Center. Photo by Doug Kerr via Flickr. 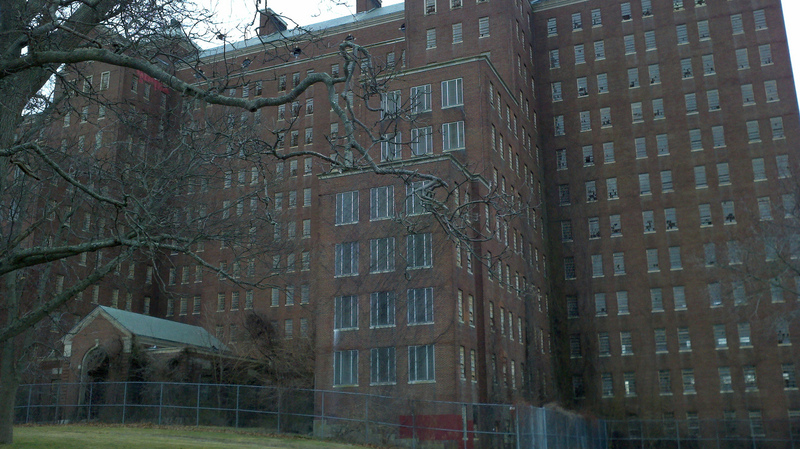 (CC BY-SA 2.0) The looming facade of the Kings Park Psychiatric Center. This local watering hole doesn’t just serve up brews and cocktails, but ghost stories too! The story goes that Charlie, a bootlegger from the Prohibition Era who used to frequent the pub, still hangs around. Guests and workers have experienced strange phenomena like glasses moving on their own, figures floating through walls, toilet lids banging on their own and more. Many different legends surround Lake Ronkonkoma, Long Island's largest freshwater lake. One of the most prevalent stories is about a Native American princess who killed herself in the waters of Lake Ronkonkoma when her father would not allow her to marry the man that she loved. Rumor has it that she claims the life of a male every year to secure herself a soulmate in death, since she wasn’t able to do so when she was alive. Located in the Huntington area, there is an overpass on Sweet Hollow Road that many have visited to test out a local legend. It is said that a bus full of children crashed on this spot many years ago and that if you put your car in neutral under the overpass that spirits from those children will push your car forward in an attempt to put you out of harm’s reach. Find out about even more haunted places on Long Island by checking out our Real Haunts page! A Look At Long Island’s Growing Feral Cat Epidemic; What Can Be Done? Subject: LongIsland.com - Your Name sent you Article details of "Face Your Fears & Share a Scare by Telling the Tale of One of These Real Haunts on Long Island"